When Cindy travels to her grandparents' farm to stay with them for a week she's in for a real treat. Basking in the love of her grandmother and grandfather, she delivers milk and helps with other various chores. Surrounded by milk cows, kittens and a vegetable garden, she delights in the simple joys of farm-life. When a terrible storm strikes the farm Cindy's trip is cut short. But she is gently reminded of the many ways in which they can still be grateful. Planted firmly in faith, with the love and support of family, Cindy's grandparents impart warm memories and a grateful spirit to their precious granddaughter. Author Cindy Farwell's Milk Bottles and Mud Pies is a lovely tale depicting a slice of rural life which is sure to elicit happy thoughts and warm memories. 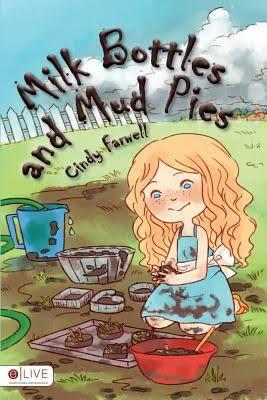 Beautifully written, with wonderful illustrations, Milk Bottles and Mud Pies is recommended for home and school libraries and has earned the Literary Classics Seal of Approval.